Are you as excited as I am for the fall season?? I started getting Halloween nails early this year to help you get ready for the holiday! Nothing says fall to me like pumpkin nail art. I recently did a huge baking event called Pumpkin week. My mini pumpkin nail art went perfectly with the pumpkin spice and pumpkin baking. Get more Fall Nail Art Designs here. One of the best holidays during the fall season is Halloween. 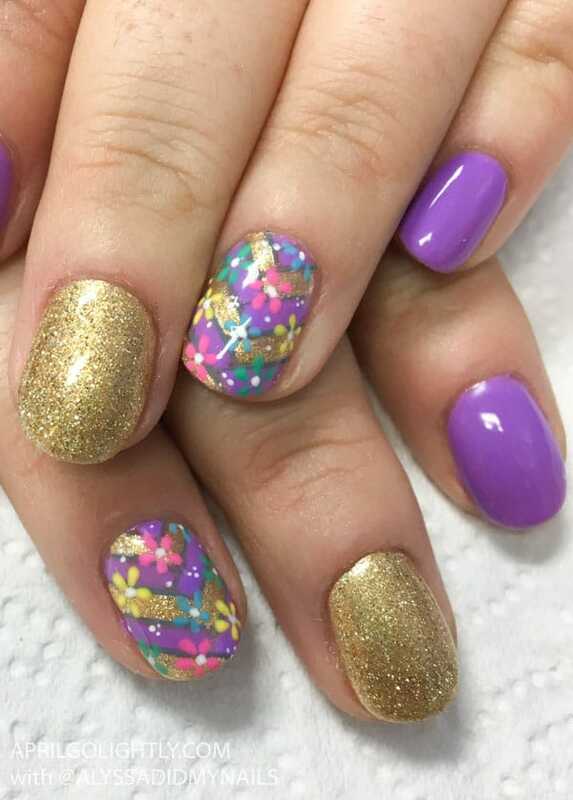 You can go for something Halloween themed or rock nail art that goes with your costume! For Halloween, one of my favorite things to do is dress up like a Disney Princess. You can even cosplay at Mickey’s Not So Scary Halloween Party. Read my post about the Disney Halloween Party here. If you love all the princesses as I do, you can get a different Princess on each nail. Both Kristy (@peaceloveandjoy_essentials) and I spend a lot of time at Disney World, so we love getting our nails done with a Disney focus. The classic Disney princess is Sleeping Beauty aka Aurora. Sleeping Beauty is pretty high up on the Disney Princess world since she has her own castle in Disney Land. It’s pink! If you haven’t see it yet, you need to make a plan to see Disney Land asap! Maybe even for Halloween? 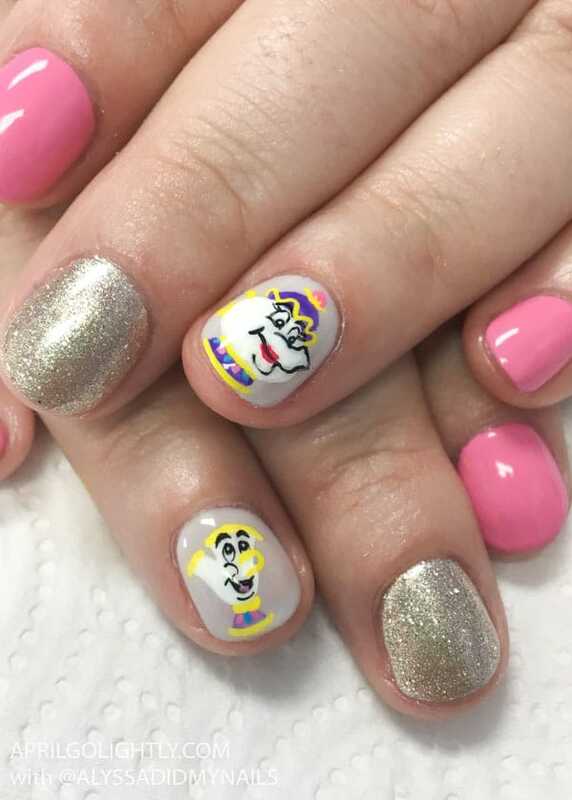 The best Halloween nail art for a Belle costume are Mrs. Potts and Chip. I wore these nails for my interview of with Emma Watson. Last year, I was Rapunzel from the movie Tangled. I wore extensions and braided my hair with lots of flowers. I also got my nails done like a braid as well to match the Rapunzel costume.